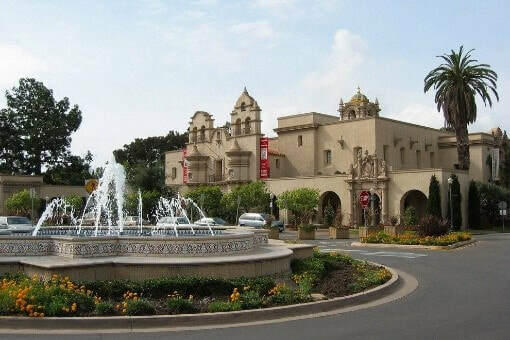 Located in San Diego’s Balboa Park, Mingei International Museum collects, preserves and exhibits “art of the world, art of the people,” including folk art, craft and design from all eras and cultures of the world. A non-profit institution funded by admission, individuals, and community support, the Museum offers inspiring exhibitions and diverse educational programs to more than 100,000 visitors a year. Opening in April, ISRAEL – 70 Years of Craft & Design celebrates the art and innovation of this nation’s diverse people through a rich range of objects of daily use. Over 100 objects—including Yemenite jewelry, Bedouin textiles, contemporary garments, sustainable and industrial design, adornment incorporating ancient materials, furniture and ceramics—illustrate the special fusion of European and Arab influences embodied in Israel’s modern craft and design. Coinciding with global recognition of Israel’s 70 years of statehood, this project, a collaboration with Balboa Park’s House of Israel, is the Museum’s first opportunity in its 40-year history to feature the innovative work of Israel’s designers and artists. Other exhibitions include VOLUMINOUS ART – Treasures from San Diego’s University Libraries, 75 volumes from the special collections libraries of UC San Diego, University of San Diego and San Diego State University that reveal centuries-old practices of book design, typography, binding and printing; WEAVING A PATH – Navajo Women and the Feminine Ethos, a collection of over 30 dazzling rugs, saddle blankets and wearing blankets, traditionally woven by women and representing important Diné (Navajo) Nation weaving districts; and opening in June, WILLIAM L. HAWKINS – An Imaginative Geography, an exploration of the American self-taught painter’s landscapes, cityscapes, historical scenes, animals and mixed media. Ayala Serfaty, Soma, 2018, glass rods, polymer membrane. Courtesy of Maison Gerard Gallery, NY (left). ​Building photo courtesy of Mingei International Museum (right).